We understand the cultural differences and the unique issues facing UK Citizens considering living, working or permanently relocating to the United States. 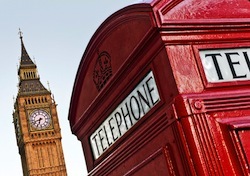 We also assist US citizens relocating to the United Kingdom. 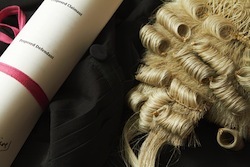 Our UK immigration practice team is composed of the leading US immigration lawyers who are also dual qualified as Solicitors of the Supreme Court of England & Wales. We therefore have a unique understanding of our UK clients and their business. A caution is effectively a warning commonly given by the UK police to first-time offenders and University students. While for most domestic purposes “cautions” do not have to be declared to the UK government they do have to be declared to the US immigration authorities. The US embassy in London has been able to “discover” records of cautions in the past Failure to disclose a caution as part of a US visa application can result in denial of a US visa and, potentially, a ban from future entry to the United States. While there can never be any guarantees, to-date no visa application we have prepared has been denied. 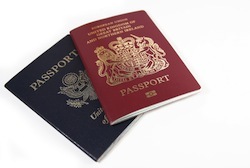 We frequently assist UK Citizens and corporations navigate the maze of US immigrant and non-immigrant visas. Together with other visa options we assist with E-2 visas, E-1 visas, EB-5 visas, L-1 visas, H1-B visas, O visas, green cards and family/marriage based visas. Born in the in the United Kingdom, Mark I Davies attended law school in the UK and worked in one of the world’s five largest firms in London before emigrating to the United States where he has practiced US immigration law for fifteen years. Our firm is structured to provide our clients with the very best immigration solutions available. Our focus is not to push clients into a specific visa but to develop immigration solutions that help you achieve your personal goals.